A cute sailor indeed! 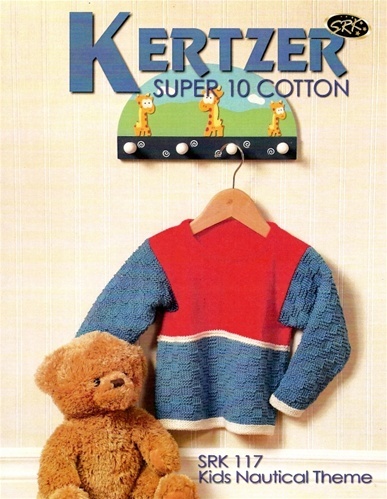 Supersoft Super 10 is always a great choice for kids--easy to make and easy to wear. Four sizes, 6 mos (12 mos, 2 yr, 3-4 year) with finished chest measurements of 19" (22, 24.5, 27.5) take 1 (2, 2, 2) skeins of main color (blue in photo), 1 skein contrast color, and a small amount of accent color. Rated Intermediate.